People who make fundraising come alive! If you are lucky, you are fortunate to know people who are “the real deal.” That is Lisa Hoffman. 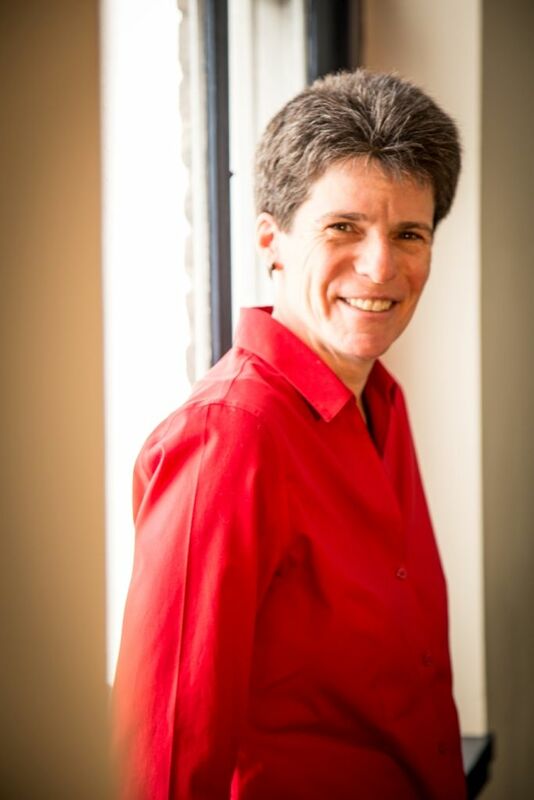 She is an experienced and talented fundraiser and coach. A woman who is both gentle and firm in her guidance, her goal is to help you reach your fundraising goals. We recently reached out to Lisa and asked her to share some of what she has learned during her 30 years in fundraising. We began by asking about what exactly leads to fundraising success. “Board leadership really is essential,” Hoffman began. “The Board Chair needs to give generously and raise money, as well as understand their role in modeling, guiding and supporting the rest of the board to do the same. The Board Chair has tremendous influence on creating a culture of philanthropy, generosity and giving. And if there are issues with board members, it is usually the chair who needs to step up and address them. And, the executive director or CEO needs to be one of the organization’s lead fundraisers and partner with the Board Chair on keeping fund development high on the board’s agenda and radar. Another critical part of the executive’s role is to create a culture of generosity and appreciation of the individuals and groups that support the organization. Every staff member can be a leader in raising money, recruiting volunteers and garnering in-kind contributions. The executive sets the tone and process for this kind of engagement. Passion is critical to successful fund development. Most people don’t like fundraising, and passion for their organization’s mission is the best motivator I know of to provide the drive and fearlessness needed to raise game-changing amounts of money over the long haul. Related to leadership, we asked Hoffman to share what she has identified as the qualities to look for in a board chair. “Clarity about the chair role and what leadership means: to support and drive the board in stewarding the organization’s mission and vision. That means making sure every board member understands and fulfills their role in ensuring that every aspect of the organization – how people are treated, strategic direction, finances, fundraising – reflect sound values and respect the time and resources given to the organization,” she shared. Healthcare is always in the news: advances in healthcare technology, groundbreaking research, and healthcare disparities are just a few. Yet there’s one story we rarely hear: the role of hospital or medical center related healthcare foundations. These foundations play important roles in communities across the country, bringing together leadership, vision, money and initiative to help improve the delivery of healthcare. Wanting to learn more we spoke with Tammie Ritchey, Vice President of Development and Executive Director of Regional One Health Foundation in Memphis Tennessee. For the past 10 years Ritchey and the foundation board of directors have worked behind the scenes to help improve healthcare across the mid-South. We started our conversation wanting to know – in general terms – the role of a foundation in the life of a nonprofit healthcare system. Not surprisingly, fundraising is a foundation’s most obvious role. Foundations raise money for research, new buildings, and investments in projects that improve patient outcomes and increase employee training, and more. But, according to Ritchey, fundraising isn’t always the most important role. You can learn more about Regional One Health Foundation at www.regionalonehealthfoundation.org or by calling (901) 545-8773. “Women rock!” “Women rule!” “If you want something done, ask a woman.” “Women hold up half the sky.” Its women’s history month and time to highlight women’s role as philanthropists and fundraisers. Join us in paying tribute to women and girls who nurture and support families and communities across the country and around the globe. Sometimes we are recognized, often we are not. We are the grandmother putting money in her granddaughter’s pocket as she heads off to college. We are girl scouts selling cookies, sorority sisters raising money for scholarships, and girls running in St. Jude’s fundraising marathons across the country. We are Oseola McCarty, a Hattiesburg Mississippi washerwoman, giving $150,000 to the University of Southern Mississippi, and Wylodine Taylor Patton the alumna leaving $487,500 to LeMoyne-Owen College. We are Helen LaKelly Hunt and Ambassador Swanee Hunt launching “Women Moving Millions,” encouraging women to give $1 million gifts and raising over $500 million to change the lives of women and girls. We are Gayle Rose creator of Team Max, a “vigilante philanthropy” group of young people giving to others in honor of her generous son Max who lost his life in a car accident. We give as individuals, and we give collectively through women’s foundations and giving circles. We are the Women’s Funding Network, founded 30 years ago, and now the largest philanthropic network in the world devoted to women and girls with 160 members from 30 countries on six continents. We promote philanthropy, encouraging others to give through online portals such as Black Gives Back, started by Tracey Webb, a woman of course. We are presidents and CEOs of regional and national foundations, setting the philanthropic agenda, funding research and making grants that affect every aspect of life. We are Jan Young (The Assisi Foundation of Memphis), Judy Belk, (The California Wellness Foundation), Risa Lavizzo-Mourey (Robert Wood Johnson Foundation), Carol S. Larson (David and Lucile Packard Foundation), Patricia E. Harris (Bloomberg Philanthropies), Audrey Yamamoto (Asian Pacific Fund) and Helene D. Gayle (CARE). As professional fundraisers we raise funds for social organizations, political parties, hospitals, schools, colleges and universities, arts institutions and more. We are Jann Honore, a fundraising executive with more than 30 years experience with UNCF raising money for generations of college students. We are Maricar Boyle, focused on health, education and the environment; Dionne Jackson with Lehigh University; Gurdeep Sihota He’Bert, executive director State Center Community College Foundation; and Iris R. Ramey, Vice President for Development, Hampton University. We are Marianne G. Briscoe, President and Managing Director of Brakeley Briscoe, a leading fundraising consulting firm that provides services across the Americas. The list of women who make a difference is longer than long. If you want to meet a woman philanthropist, look in the mirror or into the eyes of the women and girls in your life. He could have given up earlier, but he didn’t. It’s just not who he is. A singer, dancer, and actor he didn’t give up when auditioning for Disney’s “The Lion King.” Russell auditioned 10 times over ten years. The “yes” was elusive. He toured the United States, Europe, Mexico, and Japan with “Smokey Joe’s Cafe,” “The Scarlet Pimpernel” and “Ain’t Misbehavin.’” But each time he auditioned for “The Lion King” the producers couldn’t figure out how to cast him. A member of the Brown family from Augusta GA Russell is also committed to his parents and siblings. When it came time to care for his father and then his mother he took a break from touring and became a caretaker. He also continued to perform, this time in local productions, fundraisers and cabarets. His unstoppable creativity expressed itself in “From Mozart to Motown” the one-man show he developed in 2002 in Augusta. It’s one thing to create a show, it’s another thing to secure the resources required to produce it. That’s where Brown’s vision and determined optimism made a difference. After getting his 75th “no” he didn’t give up. Number 76 was Peter Knox, IV, the owner of D Timms Jazz Cafe. Knox said yes, but not as an investor or underwriter. He wanted his cafe to be the sponsor. And so D. Timm’s and Comcast proudly present From Mozart to Motown – An Evening with Russell Joel Brown sold out the Imperial Theatre in Augusta, bringing an integrated audience to Brown’s one-man revue. Brown is committed to the arts and to ensuring young people can grow their talents. When on the road he takes the time to bring his Project Inspire program to schools and arts organizations. He shares videos from the Lion King, tells his story, and encourages children and youth to focus on their talents. He offers guidance in the business side of life as an actor, talking with them about preparation, reputation and how to negotiate. 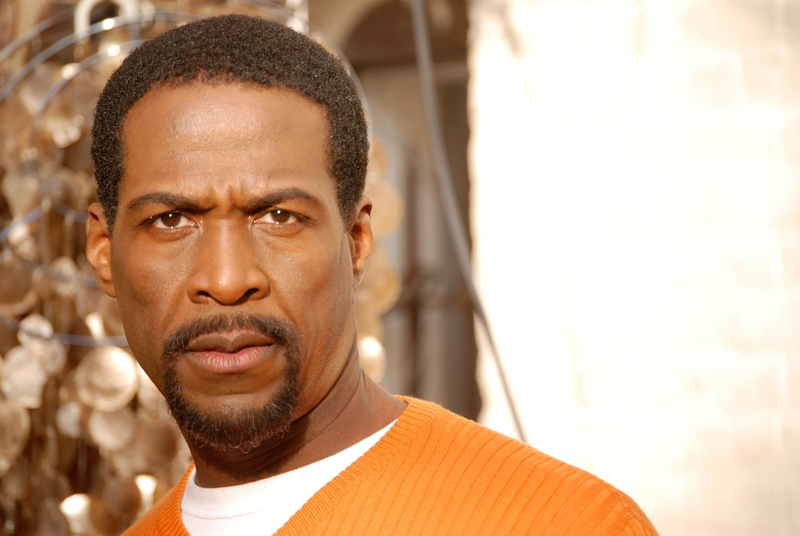 Brown is a Morehouse man, and while in college was a member of the Morehouse College Glee Club and Morehouse Quartet. Before that he began his dance training as a young child at the Augusta Ballet School, following in the footsteps of his sister Karen Brown who went on to become the principal ballerina for Dance Theatre of Harlem from 1973 – 1995. His life is committed to theatre and the next generation. You can reach Brown at THREATS3@aol.com . Dr. Todd Robinson is a navy pilot and flight surgeon, author, film producer, medical school faculty member, and a practicing physician. He is an MD and a PhD. But until now there was one area in which he had no experience: fundraising. Here’s the background: Getting ready for the world premier of renowned composer Earnestine Rodgers Robinson’s oratorio “Exodus” required fundraising. Dr. Robinson (Mrs. Robinson eldest son), and family members needed to raise $140,000 to $170,000 to bring 200 diverse choir members to New York City’s Carnegie Hall. The family organized supporters as Chicago Voices United. But, surprisingly, not as an independent 501c3 organization. “One of the FUNdraising Good Times! articles talked about being creative in looking for funding sources as it pertained to nonprofits. This was very encouraging as we struggled in the early phases. Initially, we used personal funds and a loan as start-up capital for Chicago Voices United. 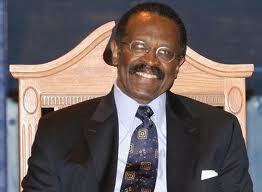 But we quickly realized that we needed the nonprofit status to be more attractive for donations,” Dr. Robinson shared. Instead of becoming a 501c3 organization, Dr. Robinson asked an existing nonprofit if Chicago Voices United could become a “sponsored project” of that nonprofit. The answer was yes, and months of paperwork and filing fees were saved, allowing the group to focus on their goal: fundraising for choir members. A January “sneak preview” of Exodus in Chicago was well-received, and part of the Robinsons’ fundraising strategy: potential donors and influencers had the opportunity to experience the oratorio and become inspired. Follow up meetings are in progress as we go to press. Visit www.earnestinerobinson.com for more information about the life and work of Earnestine Rodgers Robinson. We were recently inspired by a group of young professional women who came together on a Saturday morning to discuss fundraising for their upcoming conference. These women were under 40, energized, and engaged. They were getting ready to launch their sponsorship program and wanted guidance regarding how to solicit. We appreciated their reaching out and inviting us to meet with them. During our time together they discussed conference goals and content, brainstormed potential sponsors, and practiced role playing. They closed with a list of action items and a date (the following Wednesday!) for their next meeting. All this was accomplished in less than 90 minutes. These are women of action. We were inspired to be in their presence for a number of reasons. 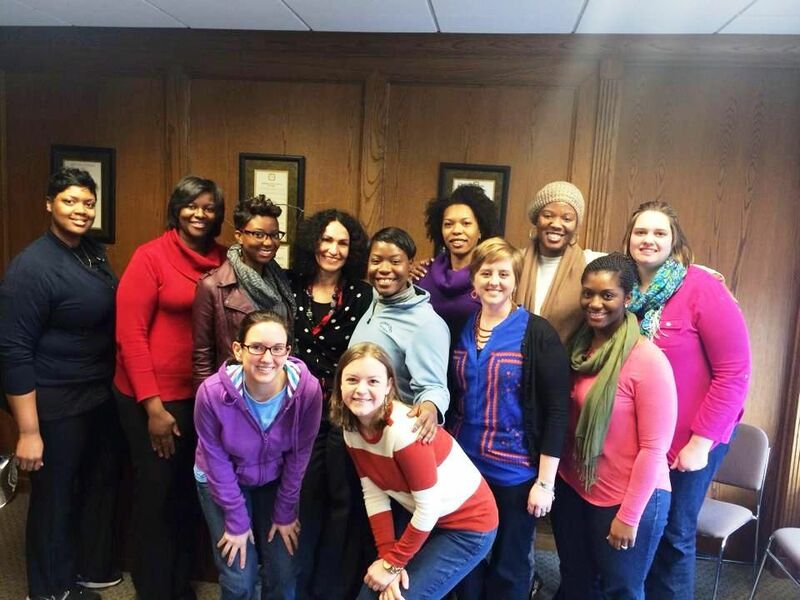 First, they launched their inaugural conference in 2013 in response to their need for a way to connect with other young professional women, to learn from women who are a bit more established in their careers, and to create a supportive environment of like-minded women here in Memphis. They called their conference the Modern Day Woman Conference (MDWC) and it was a great success with over 200 women attending. The 2014 conference topic is balance: how do we create balance in our lives? How can we grow in our careers, be active in our communities, and enjoy our roles within our families? These are questions women of all ages grapple with. Too often we grapple with them as individuals, or with a small circle of friends. The MDWC 2014 creates a public forum for the discussion. This racially diverse group of women is busy setting their agenda, helping to create the city they want to live and work in, and giving back. 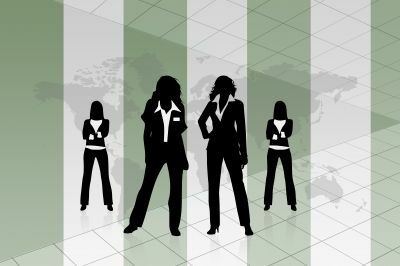 They are supporting each other, and looking to women who are a bit more experienced in life, work and philanthropy to help guide their growth. We share their story to inspire you to join with others in creating community solutions. If you are under 40, you are the future of your community and our country. We need your collective engagement. Claim the title of “philanthropist” – one who loves humanity – and join with others in creating the world you want to live in. Learn more about young women philanthropists at www.wfgm.org. Dr. Wesley McClure will be remembered by alumni, friends and the Jackson TN community as a transformational leader of Lane College. He served as president of Lane – his alma mater – for 21 years. He transformed the campus with new facilities and programs, but most importantly he kept true to his mission of ensuring that students who wanted an education could obtain one – regardless of what others thought. More than this he was my college classmate – an outstanding, straight A student – a brilliant math major, born and raised in Jackson, TN. He was a student leader with great potential for all to see. His focus on securing civil rights was intense – and he was at the forefront of the civil rights movement for the West Tennessee area. The gains that were made were greatly influenced by his participation as a leader. 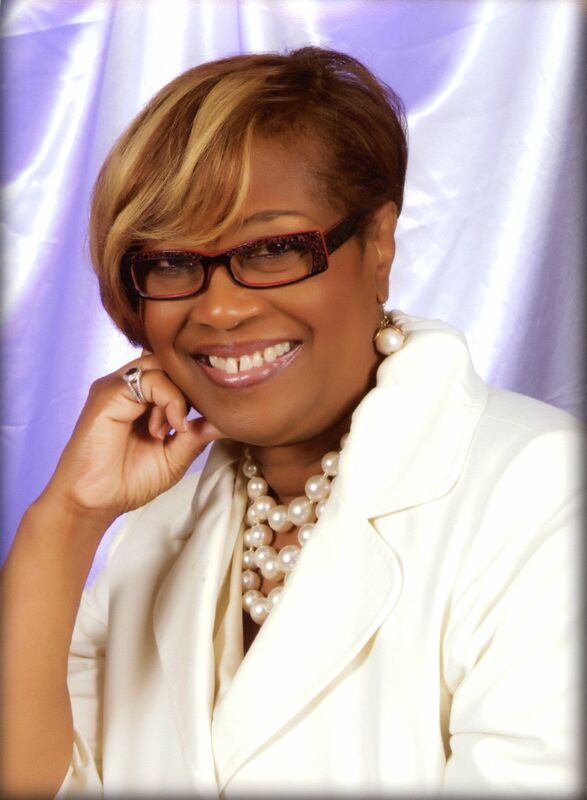 Dr. McClure assumed the leadership of Lane College when it was truly struggling. He deployed his intensity once again, making the college’s turn-around his personal commitment. He put students first in the way that he developed the institution. He knew the backgrounds from which the students came, for their background was his background. He came from very humble beginnings during a time of segregation and succeeded in life because of Lane College. He never forgot his past, and wanted to make sure that other young African American men and women who struggle with the legacy of racism and limited access to quality education, poverty, hunger and family challenges would have the ability to succeed. He held out his hand and he opened the doors of Lane College – but he always had high standards and demanded that students live up to their potential. He did not accept mediocrity in students or in himself. He always held the bar high – he was a “hands on president” who demanded a lot of himself and his team. One thing that I will always admire about Dr. McClure was the slogan he used for Lane College – “The Power of Potential.” This was at the core of his life work and how he interacted with young people: “If you want a degree I will help you succeed.” He truly believed in the power of potential and encouraged all of us to see – and nurture – the potential of young people. He was determined to provide students with attainable and affordable education under his leadership. In a time of revolving presidents Dr. McClure was committed to Lane College and to providing leadership – he was one of the few remaining long-term presidents of our HBCUs. He was a role model amongst his peers for his innovation, leadership and commitment. Rest in peace, Dr. Wesley McClure. This is the biblical quote Beverly Robertson, president of the National Civil Rights Museum used to begin our conversation. The National Civil Rights Museum showcases the history of the African American struggle for civil rights within the context of a global struggle for human rights. It holds a vision for us of a world dedicated to creating opportunity for the disenfranchised. Located in Memphis, Tennessee at the former Lorraine Hotel – the site of the assassination of Dr. Martin Luther King Jr, – the National Civil Rights Museum has steadily expanded and updated exhibits and curriculum. Over 3.5 million people have visited since its opening in 1991 – an annual average of 200,000 visitors. It is an educational and cultural site of conscience for visitors from around the world. Under Robertson’s leadership the museum has stayed focused on fundraising. To date, $25.2 million has been raised for renovations, and $2.2 million for endowment. Robertson has also grown the museum’s annual fundraising which includes direct mail, personal solicitations, and The Freedom Awards, their annual gala. The Freedom Awards, honor individuals who have made significant contributions in civil rights and have laid the foundation for present and future leaders in the battle for human rights. This year awards were presented to Mary Robinson, first female president of Ireland and human rights champion; Geoffrey Canada, CEO and president of Harlem Children’s Zone and a leading advocate for education reform and equality; and Earl Graves, founder and publisher of Black Enterprise Magazine, activist for black consumer and black business power. The event raised over $490,000 and was one of their most successful. “I have always wanted to leave people and organizations for whom I have worked much better than I found them,” Robertson said. “I can only hope and pray that this is part of the legacy I leave when I depart the National Civil Rights Museum on July 1, 2014.” Beverly Robertson – we salute your leadership. 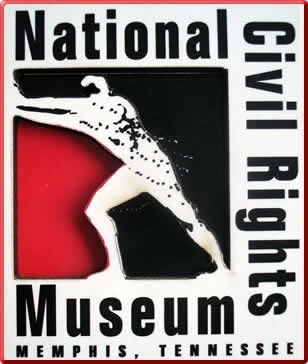 Learn more about the National Civil Rights Museum at www.civilrightsmuseum.org. African American Corporate Executives: HBCUs Need You! The expertise and connections of African American corporate executives can help chart a sustainable future for historically black colleges and universities. Historically black colleges and universities are amongst the largest African American controlled businesses in America. Many date back to the 19th century. They have educated generations and built the black middle class. They are major employers in communities across the country. They also face well-documented challenges as they operate in an increasingly competitive educational marketplace. These challenges can be addressed through a deep and meaningful partnership with African American corporate executives. These executives have increased corporate profits, managed turnarounds, introduced new products, increased employment, expanded operations, managed globalization, developed new technologies, and introduced social media to market and sell their products. Their expertise and management skills – when combined with that of academic leaders and trustees – can creatively and strategically address higher-education challenges in areas such as recruitment, retention and graduation; finances; marketing; and fundraising including alumni giving, corporate, foundation, state and federal support. African American corporate executives can serve as executive coaches and mentors to presidents and chancellors, shadowing these leaders and working with them to provide additional strategies, perspective and potential solutions gained from their corporate experience. They can volunteer to serve as trustees providing HBCUs with the same level of professionalism they would bring to a corporate board. They can serve as interim-presidents acting as change agents who help address unresolved structural challenges. They can serve on a corporate leadership team – joining with their peers – to provide management expertise and connections that can transform institutions. Such a team can surround and support the president and trustees helping to resolve challenges and take advantage of unleveraged opportunities. Corporate executives can also provide funding and resources needed to stabilize our HBCUs. They can build endowments. They can ensure the continued competitiveness of HBCUs through timely capital investments in facilities, equipment and technology. Mutually beneficial strategic collaborations can support corporations who place a premium on attracting and retaining a diverse talent. When the White House or a state governor needs top talent they often turn to the private sector, calling upon the patriotism of corporate executives, asking them to take a leave of absence to serve their fellow citizens. Today we need African American executives to heed the call to service. 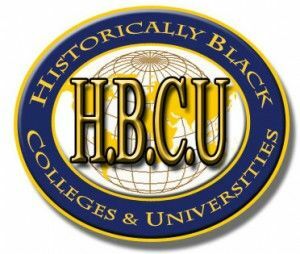 HBCUs provide a special brand of higher education. They play a critical role in educating African American, Hispanic and first generation students who seek an education that will allow them to fully participate in the global economy and build a strong future for themselves and their families. Increased “business know-how” and financial investment can help HBCUs continue to play a key role in addressing educational disparities. Reach out to these institutions, share your know-how, and help them grow to the next level. Volunteer now!